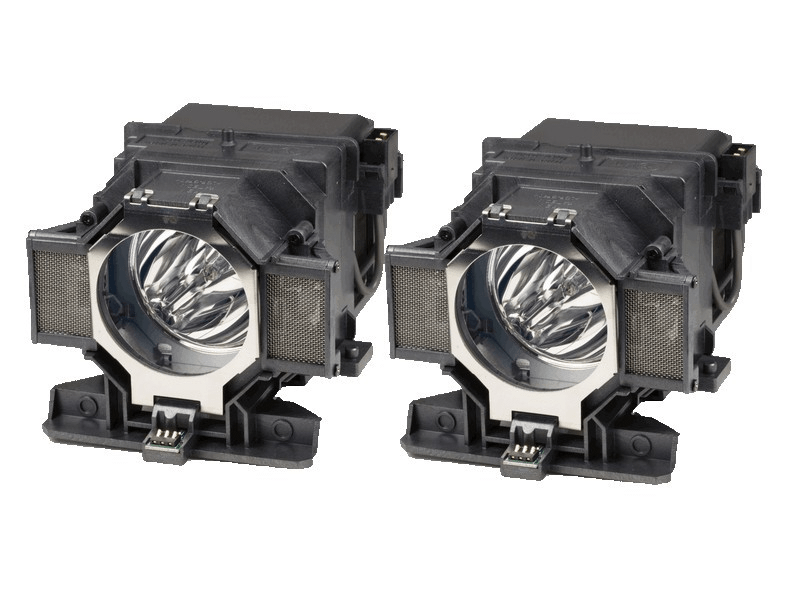 The V13H010L73 Epson twin-pack projector lamp replacement comes with a genuine original 340 watt Ushio brand NSH bulbs inside rated at 10,000 lumens (brightness equal to the original Epson lamp). The V13H010L73 twin-Pack has a rated lamp life of 2,500 hours (3,500 hours in eco-mode). This Twin-Pack has a higher lumen output and longer lamp life than other cheaper generic replacement lamps being sold elsewhere. Pureland Supply offers a 180 day warranty and free UPS ground shipping on all lamps. No problems with installation, delivery was very fast, and this Epson twin-pack is just as good as the original (but costs less).